Awesome view condo with 2 bedrooms, 2 bathrooms and den. This updated luxury condominium offers a 180 degree unobstructed view of the San Jacinto mountains and Rancho Las Palmas golf course from it’s patio, kitchen, living and dining rooms. Rancho Las Palmas is a gated patrolled community that offers 27 holes of Championship golf, 25 tennis courts (clay and hard), and a 24 hour Fitness Center. 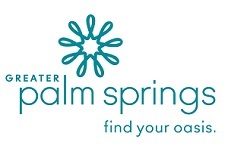 Located next door to the Rancho Las Palmas Resort and Spa you have access to their first class Spa facilities. A short walk across the street brings you to a modern shopping plaza named ”The River” for it’s fountains and water ways. It boasts excellent dining, art galleries, and shopping as well as a multiplex cinema facility. Make a left turn and in one short block you are on Highway 111 which can take you to all areas of the desert. Visit the Living Desert to view the native plants and animals or go to El Paseo Drive for fancy shopping and art. 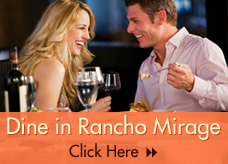 Bring Lady Luck to the Indian casinos and take your winnings to the Cabazon Outlet stores. Or just relax at the condo, soaking in the sun, splashing in the pool and viewing the gorgeous sunsets from the patio. Enjoy our comfortable condo with TVs in 3 rooms, wireless internet, and surround sound in the living room. The high cathedral ceilings, walk-in master closet, large master bath and expansive outdoor views along with the comfortable furniture makes this home feel spacious and cozy.